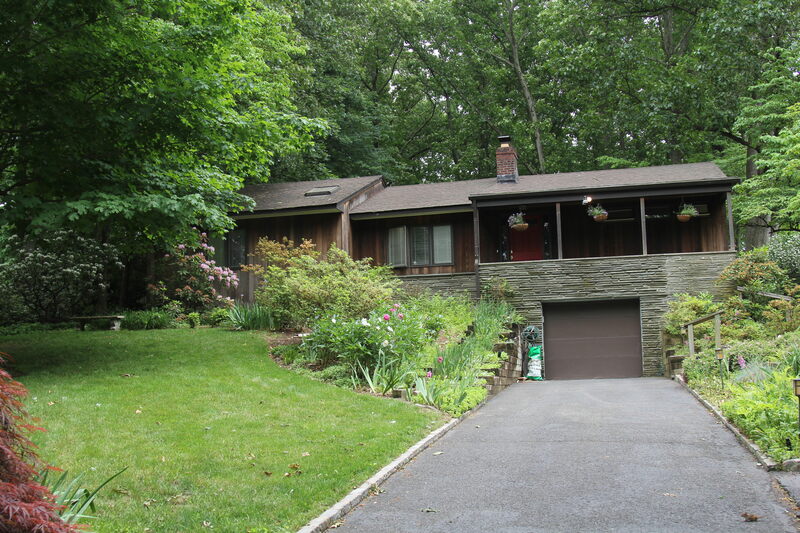 45 School Ave Chatham, NJ 07928 – sold over list price! Located on one of Chatham’s pretty, tree-lined streets, shopping, recreation, top schools and NYC commuter trains are only minutes away. 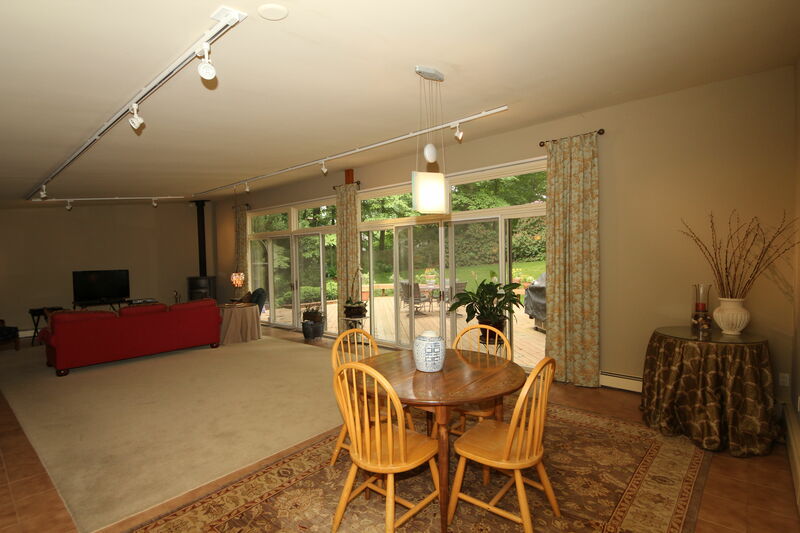 Inside, this spacious home enjoys a flexible floor plan designed to accommodate a wide array of tastes and lifestyles. Loving care and thoughtful updates have kept this mid-century contemporary true to form, while remaining relevant for today’s busy homeowner. Clean lines, an open flow and abundant windows define spaces that are as casual or as formal as the occasion requires. The living room / dining room combination allows you to place your furniture as you see fit, while a wall of sliders offer an effortless transition to outdoor living. 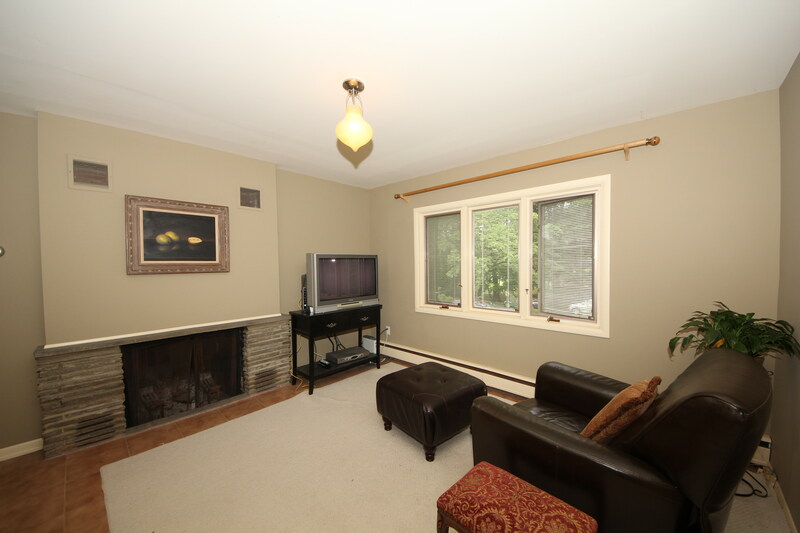 For a more intimate environment, the den includes a wood-burning fireplace. 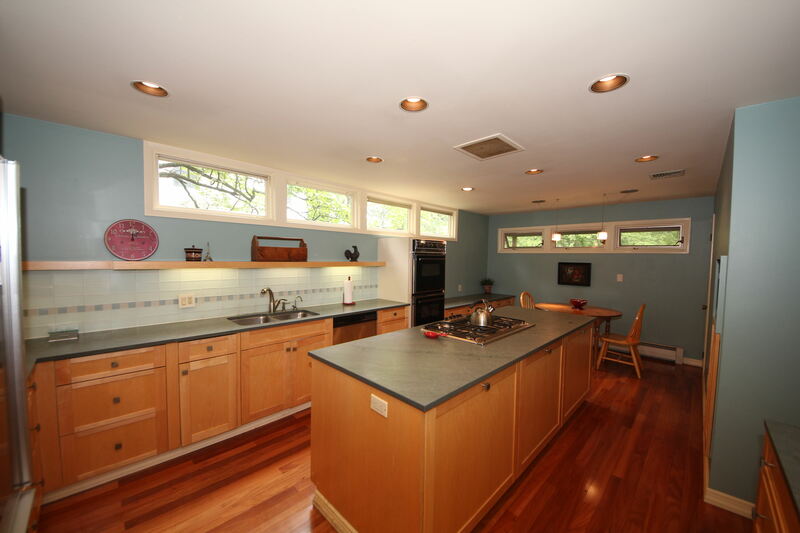 The eat-in kitchen brings the home cook all the elements needed to create a successful meal every time. 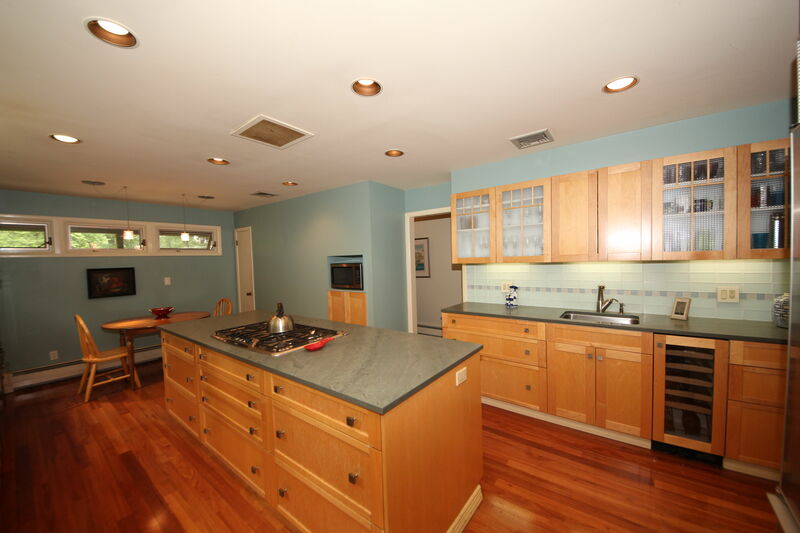 Cabinets and counter space are in ample supply, while quality appliances are arranged for easy access. Window, pendant, under-cabinet and recessed lighting all serve to keep this room bright and inviting, as space remains for a breakfast table and chairs. 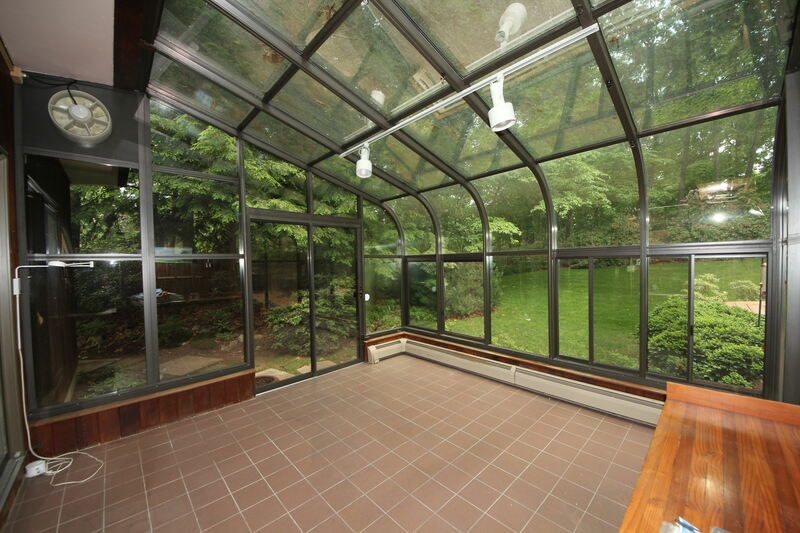 Certain to be a household favorite, the atrium allows you to enjoy this peaceful setting in complete comfort. 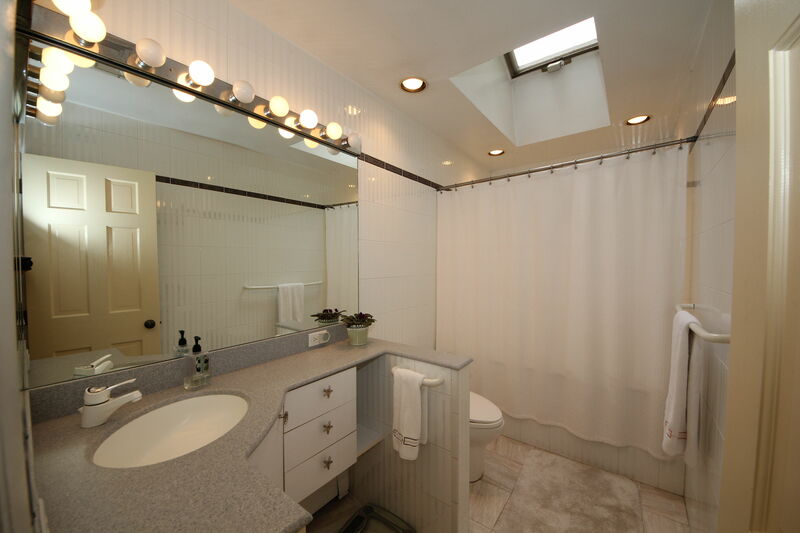 A tile floor adds rustic charm, and you are treated for panoramic views from virtually every vantage point. 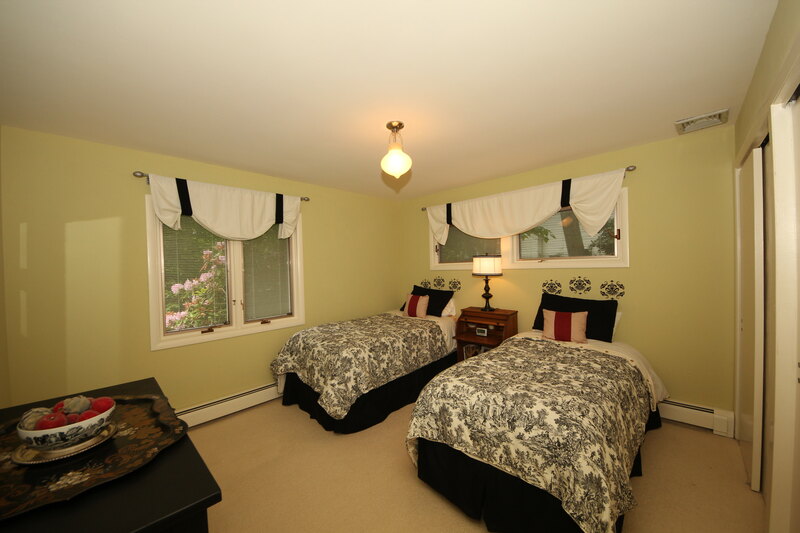 The master bedroom is a relaxed retreat that includes a separate master sitting area. 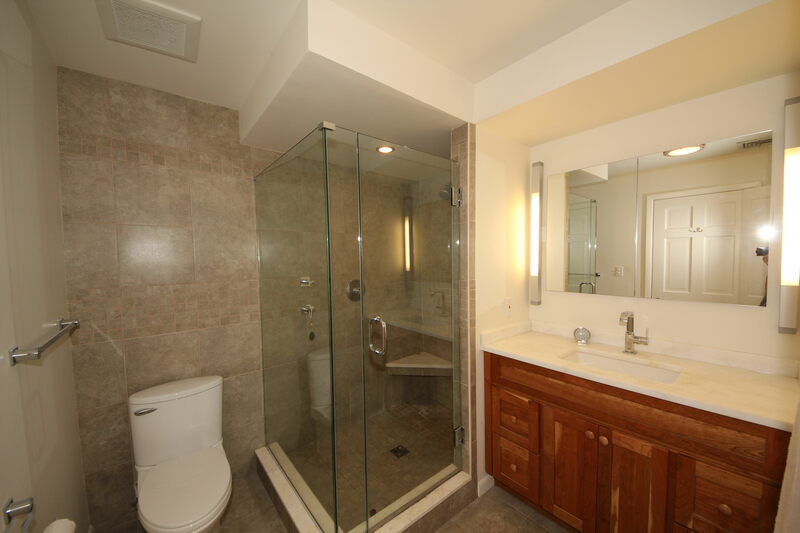 The full master bath has a tile shower with frameless glass enclosure and an oversized vanity. 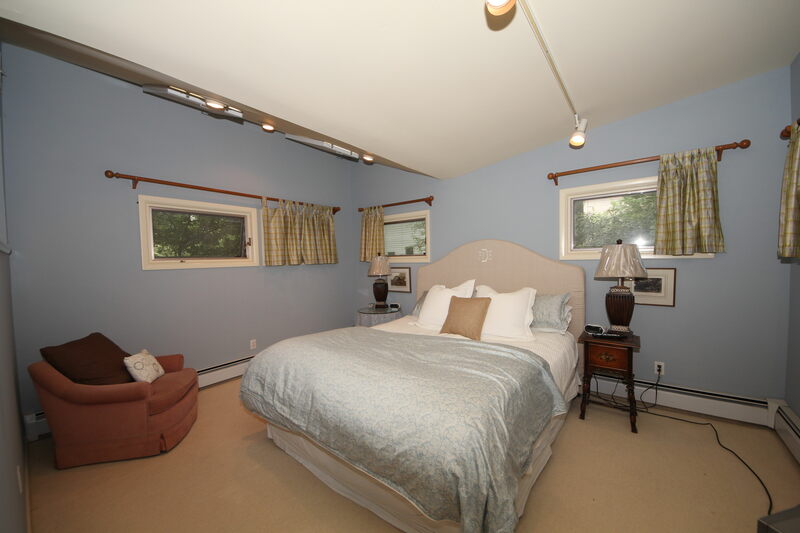 The second bedroom enjoys loads of natural light and ample closet storage, while the nearby hall bath effectively services this bedroom. 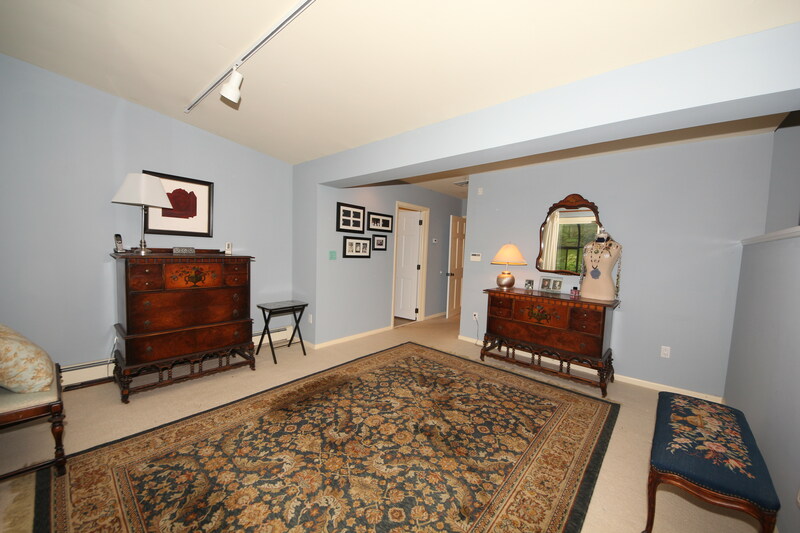 Additional finished space is found on the lower level featuring a recreation room, laundry room and ample storage capacity. 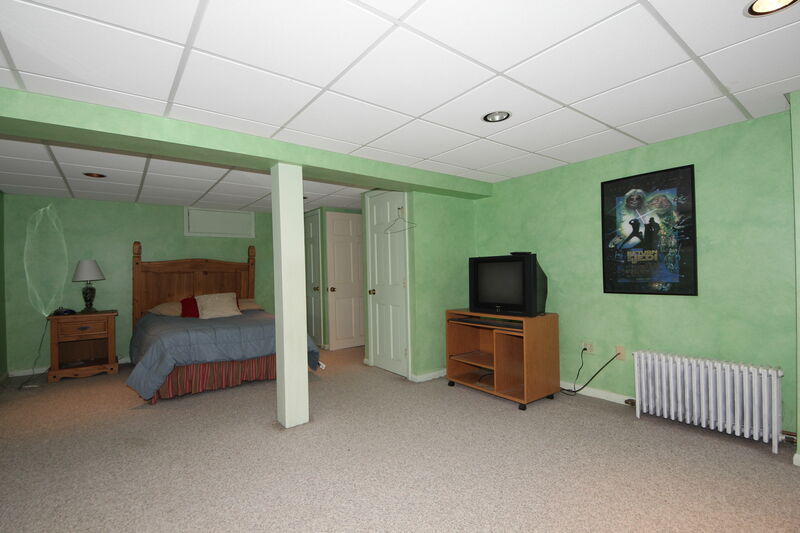 The highlight of this home is clearly the property. 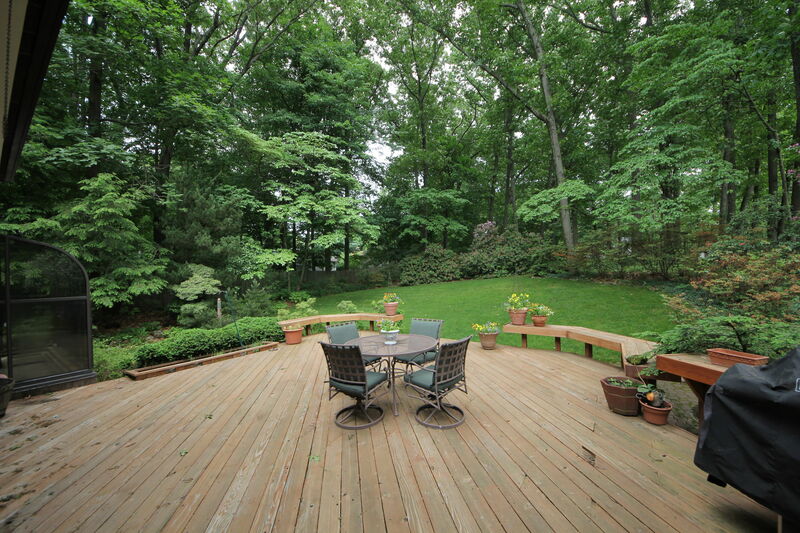 A deck and patio provide all the space you need for entertaining and outdoor dining. Majestic hardwoods and mature shrubbery buttress a portion of the backyard creating a tranquil atmosphere for relaxation and active play. Beyond the tall trees, a stone pathway leads to a fabulous garden area. 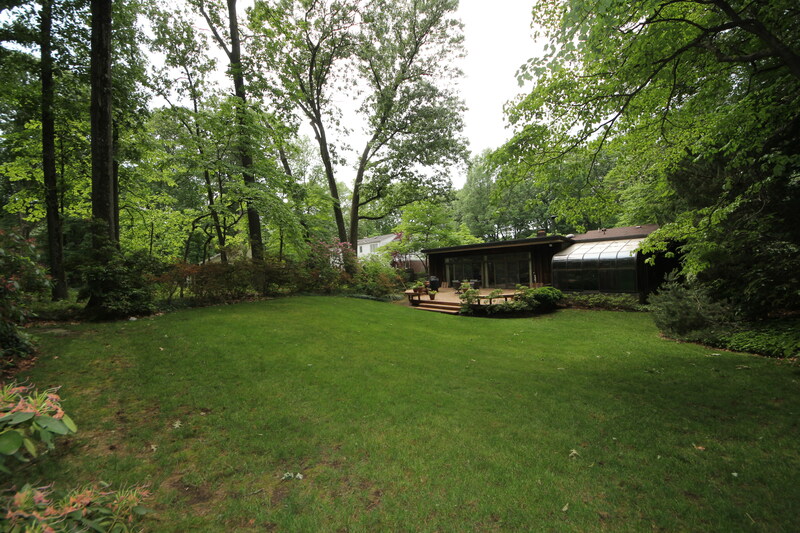 In this section of the property you find 50 year old heirloom rhododendrons and azaleas, lovely flowers that bloom through all seasons, rare and native New Jersey plants and shrubs, 100 year old oaks, beech, maples, flowering cherries, flowering plum and dogwoods. 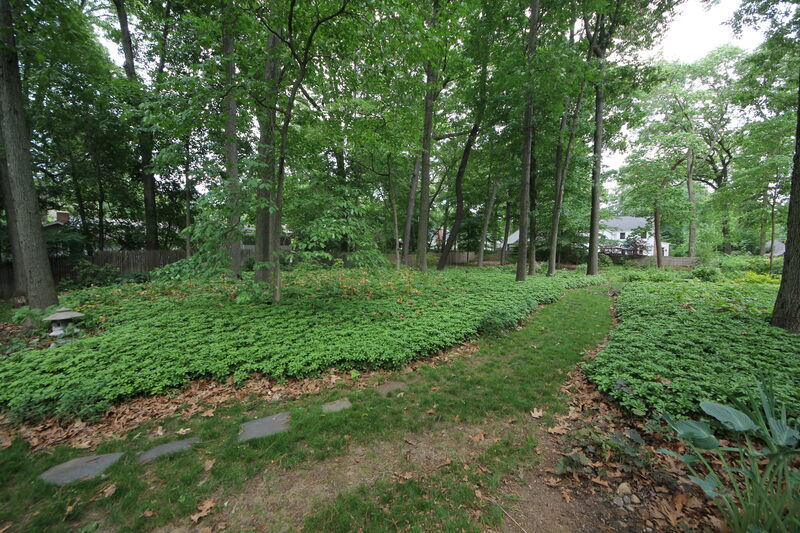 There is lush ground covering and natural pathways through these gardens. Avid gardeners and nature lovers alike will find this space an unexpected treat. 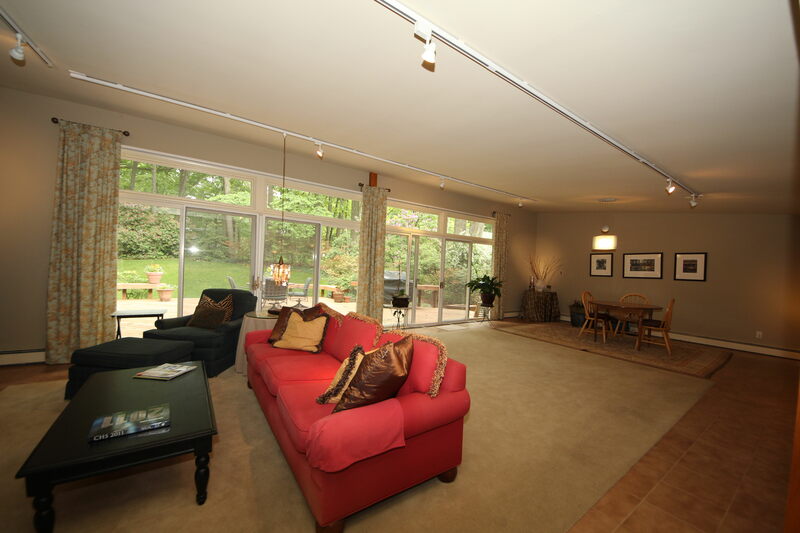 Well suited for today, and with loads of potential for tomorrow, this remarkable contemporary provides a wonderful opportunity to enjoy all Chatham has to offer in comfort and style.